The site has no previous permissions associated with the site but is part of the area known as Emersons Green East Mixed-Use Area as identified within the South Gloucestershire Local Plan. It is separate from, but immediately adjacent to the land known as the Emersons Green East Urban Extension (EGE Urban Extension) on which permission was granted for development including the erection of up to 2,550 homes. 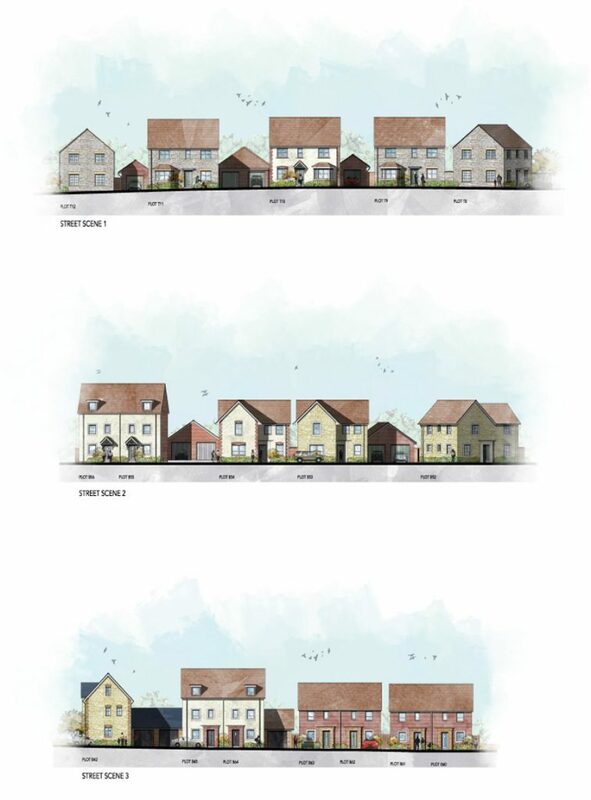 A full application was submitted on 23rd March 2017 on behalf of Barratt Homes and Taylor Wimpey Homes and has now received delegated approval by planning officers, subject to finalising the legal agreement between the applicants and South Gloucestershire Council. The proposed development is for the erection of 120 no. dwellings, associated infrastructure, vehicular access, parking, landscaping and open space on land south of Lyde green, Emersons Green. 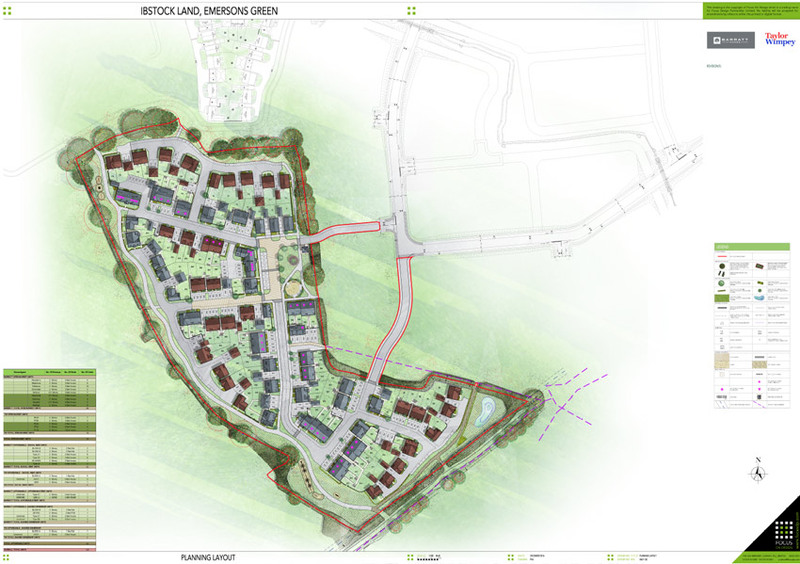 The proposed development will continue the delivery of new homes within Emersons Green East. The site is bound to the north and east by the EGE Urban Extension which is currently being implemented (including Parcel 1 to the north, Parcels 23 and 24 to the north-east – both of which benefit from reserved matters consent – and Parcels 25 and 26 to the east – which are yet to be submitted as reserved matters). To the south-east lies a dismantled railway line, alongside which now runs the Bristol-Bath cycle path, and beyond which lies Shortwood Quarry landfill site. To the southwest, the site fronts open fields through which a private lane to ‘The Rosary’ runs. Barratt Homes Bristol and Taylor Wimpey Bristol have submitted an application for full planning permission on land to the south of Lyde Green, Emerson’s Green n 23rd March 2017. The application for 120 dwellings was validated 20th March 2017 under planning reference PK17/1112/F, with an anticipated decision date of 10th July 2017. An extension of time was agreed with the Council to allow the application to be determined and the application is still ongoing.